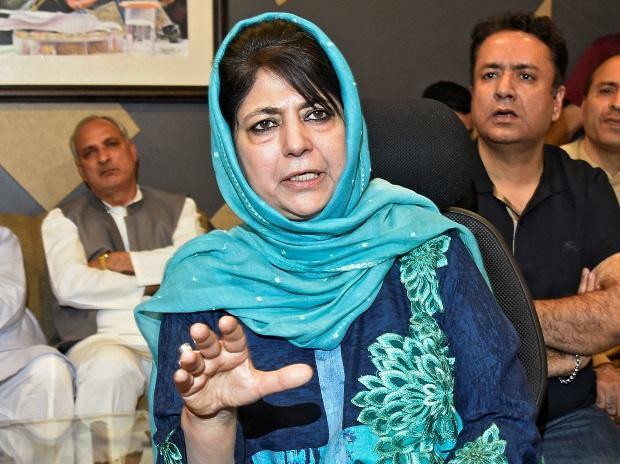 PDP chief Mehbooba Mufti on Saturday sought the release of separatist leader Shahid-ul-Islam, who is in the NIA's custody, on humanitarian grounds as his wife was not feeling well. The former Jammu and Kashmir chief minister spoke to Union Home Minister Rajnath Singh over phone after reports of Islam's wife having suffered a brain hemorrhage emerged. "I share your concern for Shahid Ul Islam. Have spoken with HM requesting his early release on humanitarian grounds as the wife has suffered a brain haemorrhage," Mehbooba said in a tweet, in response to a plea for the separatist leader's release by a Twitter user. Waheed Parra, the youth wing chief of the People's Democratic Party (PDP) told PTI that Mehbooba also raised the concerns about the alleged "harsh treatment" of political prisoners from the state and the charges against Kashmiri students in the Jawaharlal Nehru University (JNU) case with the Union home minister.